When children won’t eat: Children with Autism Spectrum Disorders or sensory processing difficulties. Sensory Processing refers to the way the nervous system receives messages from our senses (touch, taste, smell, sight, hearing, balance, motion) and turns them into appropriate motor and behavioral responses (SPD Foundation, 2010). Simply defined, it is a neurological disorder that is like a virtual traffic jam in the brain. The information from all seven senses are misinterpreted which causes a child to often act inappropriately (Hartley Steiner, 2011). Some examples include a dislike towards touch brushing or avoiding “messy play” with playdoh, sand or glue. Is my child at risk of having a feeding problem? A child who is not eating well will compromise on health and nutritional growth. Thus, even when failure to thrive is not evident and health is not immediately at risk, assessment and treatment of aberrant feeding behaviors in the ASD population should be a priority (Schwarz, 2003). 1. Refusing to eat, or eating very selected types of foods. 2. Difficulties with chewing or swallowing. 3. Holding food in his or her mouth for prolonged periods. 4. Choking, gagging or regurgitating food. 6. Sensory-based feeding problems (aversions or strong dislikes to specific kinds of foods, e.g. avoids particular smells, soft/hard textures, bland flavoured snacks, or biscuits with a specific shape). 7. Becomes agitated or aggressive at mealtimes. What are some reasons for feeding problems in children with ASD? Biological food intolerance (Cumine, Leach, & Stevenson, 2000). What to bring along for a feeding assessment? Additionally, it would be useful to bring along a list of food preferences that your child likes/dislikes. 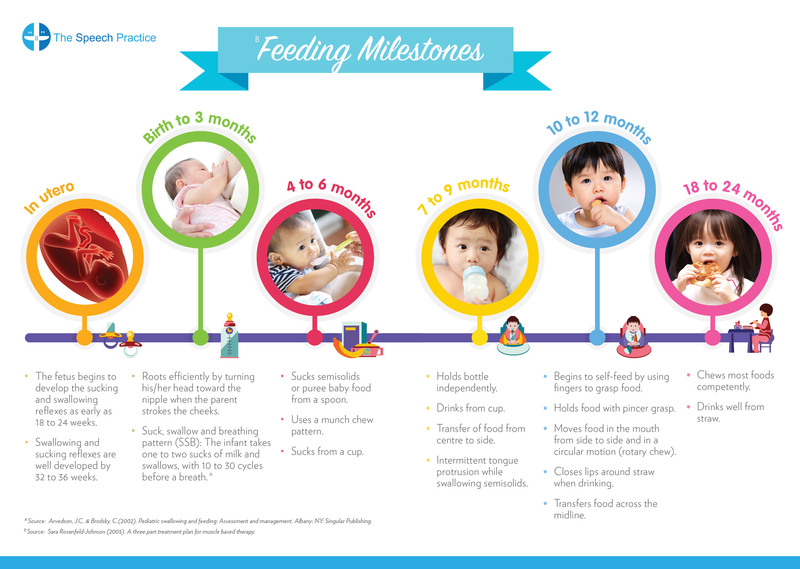 Feeding and drinking observation of your child. Intervention strategies and goals discussed with the parent and caregiver training. Note: If your child has severe attention or behavioral concerns (e.g. unable to sit to eat for at least 3 minutes), it will likely affect compliance in a feeding session and this concern will have to be addressed first. In such instances, a referral to an occupational therapist may be recommended. Alternatively, your feeding therapist may recommend joint feeding sessions with an occupational therapist. An occupational therapist will be able to help in providing strategies to improve your child’s attention such as engaging in sensory desensitization activities to calm your child down and move your child into optimal functioning for feeding. American Psychiatric Association (2000). Diagnostic and Statistical Manual of Mental Disorders. 4th, text. Cumine, V, Leach, J. & Stevenson, G.(2000) Autism in the Early Years: A Practical Guide. David Fulton Publisher.